Suda51 has become one of those popular, yet niche developers over the years. 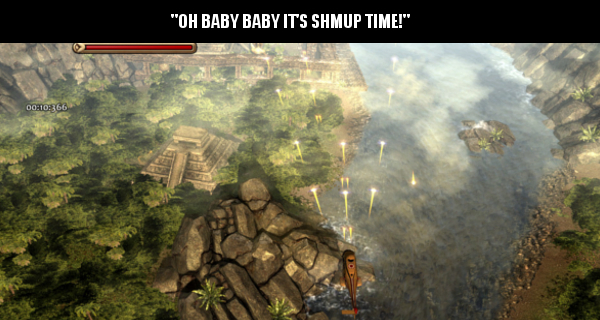 His games have a unique art direction to them. All blending the cel shaded look of an anime with the gritty, dreary look of 1940’s film noir. At the same time his stories are filled with bizarre moments, weird plot points, and over the top characters. Yet somehow he manages to keep many people invested long enough to see the end. He also seems to really love dark humor. Many of his stories, and characters feature jokes that revolve around themes that would otherwise be depressing. 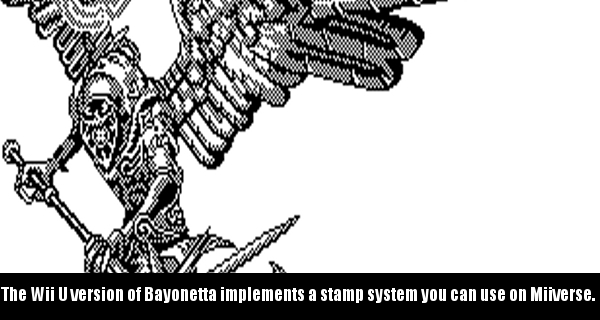 There’s also off-color humor thrown into his games. PROS: Really cool art direction. Responsive controls. 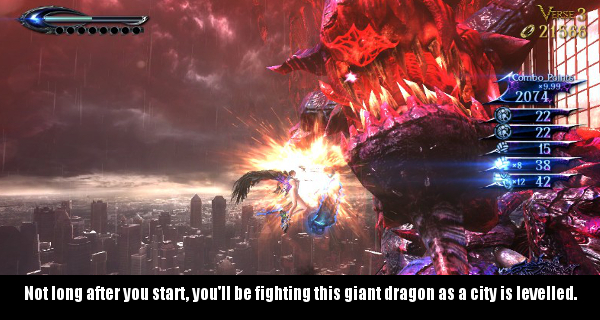 Boss fights! CONS: Terrible, horrible, stupid, insulting, dating simulators. REALLY? : KFC was founded by an extraterrestrial being. Killer Is Dead is no exception to this. 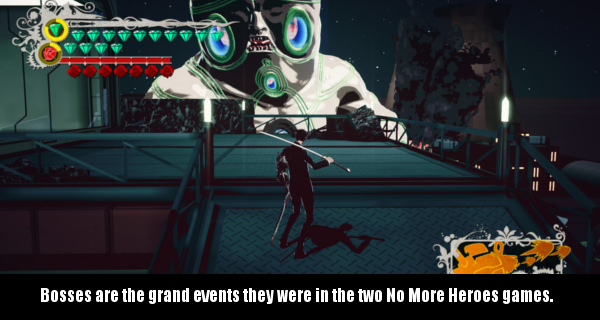 The first of his games to see release on PC, Killer Is Dead plays almost exactly like No More Heroes, No More Heroes 2, and Lollipop Chainsaw. 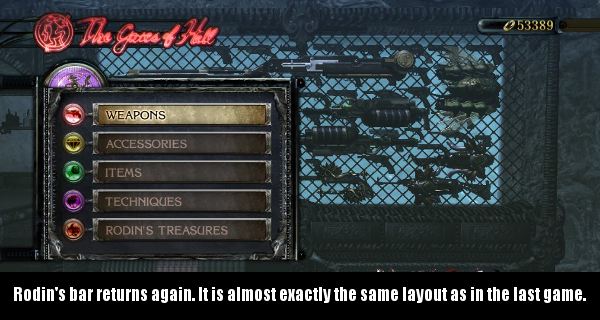 Stages are linear hack n’ slash fare. You will be taking upon waves, and waves of crazy looking enemies. 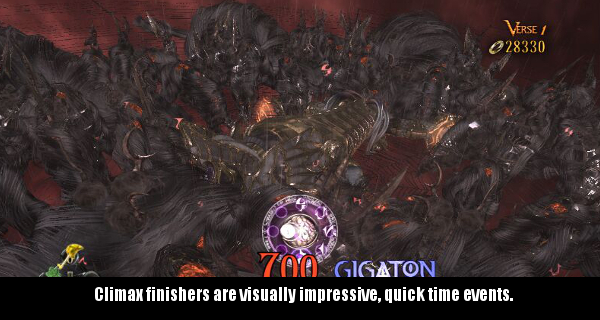 Slaughtering them by the hundreds as you try to get to the end of the level to face a boss. But Killer Is Dead doesn’t simply end there. It follows the trend set by Suda51’s earlier games by implementing some over the top finishers. 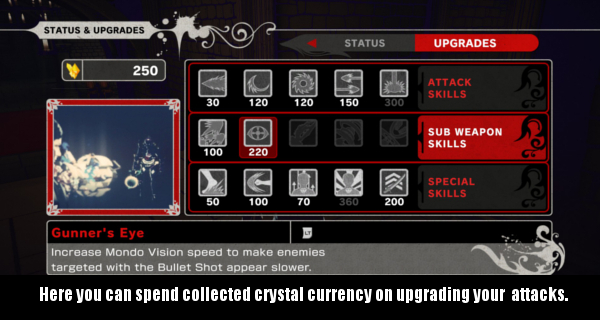 Performing the finishers gives you more currency you can use to upgrade your weapons, and more. You can also find items by smashing crates throughout the stages. The game also gives you two meters to keep tabs on during game play. One is a meter made of diamonds which is essentially your health. The other is a blood meter. This is signified by roses. Killing bad guys keeps this up, which you will need to do. You can sacrifice some of your blood to restore health. The meter also determines how much firepower your arm cannon can use. Some of the aforementioned finishers also let you determine what rewards you will receive. Based on the Xbox 360 pad layout, you can choose X,Y,B, or A. Each of the four results in a different bonus. Some of the stages also break up the hack n’ slash action with some on-rails moments or turret gun sections. In these sections your character’s allies show up with heavy back up. One of them is a motorcycle chase section, while the others are turret horde mode sections. They aren’t as varied as they could be. But they do work for what they are. Stages also do give you a pretty nice range of locales. Army bases. Castles. Dungeons. Inner city streets. A mansion. All of them with a really nice aesthetic that fits the game very, very well. The soundtrack, and audio effects go along with them fairly well. While there aren’t any songs that will thump around in your head, they fit the theme of the stages. 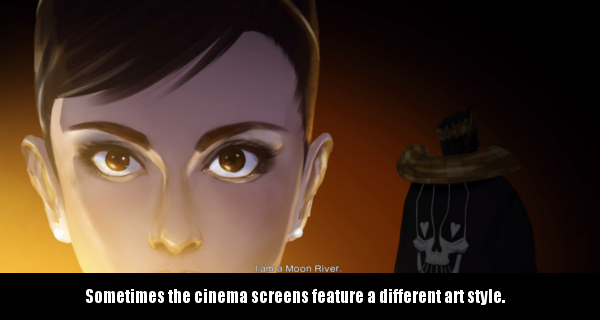 Interestingly enough the art style does change during certain cinema screens. These panels are very well done, and look beautiful. 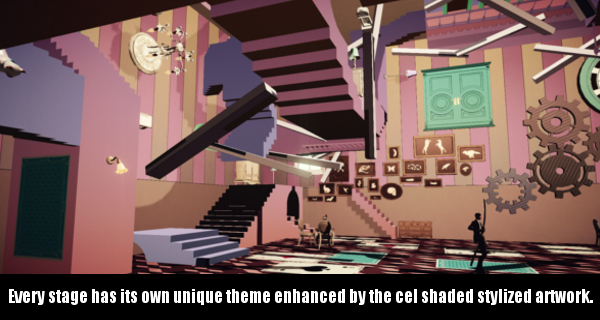 Sadly, they seem to clash with the rest of the game’s aesthetic. But that is only a minor nitpick. Bosses are one of the biggest reasons to play a Suda51 game, and Killer is Dead is no exception. 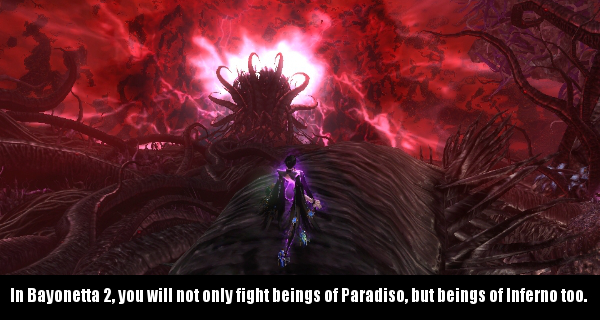 Bosses are as over the top, as ever featuring an American McGee’s Alice inspired monster. A giant monster inspired by the Stay Puft Marshmallow Man, along with several others I won’t really ruin for you here. Character designs are decidedly Suda51. Featuring some really cool concepts that are twists on androids, vampires, and even mercenaries. Then there are the hyper-sexualized characters. This is where I have to address the elephant in the room. The dating games. Running alongside the main game’s quests are dating mini games. Along the storyline you will meet some female characters. In the main game they have character. They have a modicum of personality. In these dating simulators (If you can even call them simulators) all of that is thrown out the window. The object of the gigolo missions is to get the various women to go home with you. There are a number of problems with these missions. First off, the way you win these missions involves using X-ray specs to look at their underwear when they look away from you. Yes, you read that right. You put on X-ray vision sunglasses so that you can look at your date’s underwear. If you can consistently do this you can fill up a meter. If you manage to fill that meter before time runs out you can give your date a present. Give them enough presents before time runs out, and you win. Now the women don’t just hop into bed with you if you win. You actually have to win several times for that to happen. And while it never gets to the level of a pornographic movie or even an R rated movie, the entire thing feels out of place. Moreover, it ends up sending out a message that women can be bribed into dating or sleeping with somebody. I am not saying people who play this game, are going to be vapid enough to believe that. But it isn’t a theme many people will be comfortable with. Regardless of their political or ethical leanings. It also, feels out of place because it doesn’t tie into the storyline at all, save for the rare cell phone voice mail you might hear in a mission. Some might bring up Travis Touchdown’s attitude in No More Heroes. In that game the attitude made more sense because we were laughing at him. The joke was that Travis was immature, and didn’t have a grasp on reality. Here, Mondo (Yes that’s the name of the main character) ends up looking like an unfunny jerk who juggles people around. Not much, if any, of the rest of the game sets this up. In fact, a lot of it tries to make him more of a sympathetic loner. He rescues a kidnapped girl named Mika. He fights a crazed disc jockey because the DJ cut off a woman’s ears. He has flashbacks to witnessing someone drowning, and being unable to save them. There is a moment near the beginning where Mondo has to leave a night with his girlfriend early. But there is little to lead into the gigolo missions. 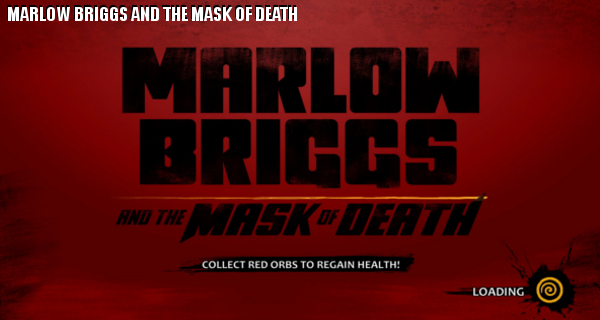 Fortunately, if you don’t want to play the gigolo missions you don’t have to. They are optional. You can clear the entire main game without playing it a single time. 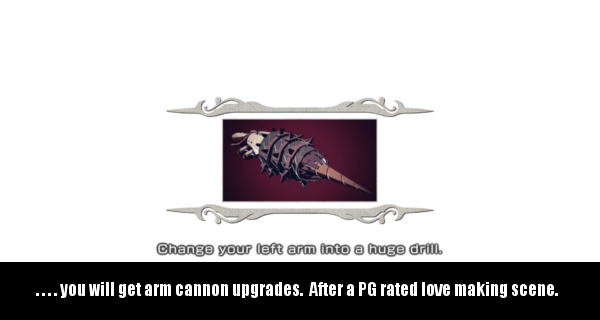 Unfortunately, it makes the game harder because the rewards for winning the mini games enough times are major upgrades for your arm cannon. And while you don’t need them to win the game, there are secrets in stages requiring their use. Some of those secrets are another character named Scarlett. Dressed in a pin-up nurse costume, finding her unlocks training missions. Again, you don’t need to do these to win the game, but things are easier on you if you do. Completing these missions will give you items, and currency as well. That isn’t to say I think it should be censored or banned. Games, like everything else should be able to say pretty much what they want. But I also needed to bring this up. For many people it’s going to be off-putting. Which is a shame because everything else in Killer Is Dead is honestly pretty good. The combat is flashy, play control feels fast, responsive, and fun. 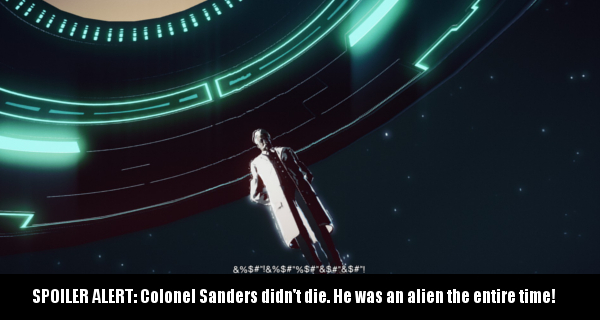 The story while not as memorable as the ones in Suda51’s other games, will likely hold your interest. At least long enough to see it through. Mondo is part of a government agency that works almost like a Private Assassination firm. Clients come to the firm asking them to go after dangerous criminals. Some of these are revenge missions. Some of these are pleas to save a city or town. 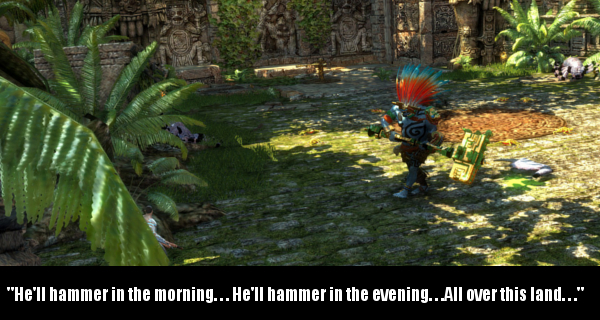 As the firm sends Mondo on these quests, over time he begins to ponder why he lost his arm, and tries to remember his past. Many of the answers are entwined between the different missions. Clues are uncovered. Rivalries answer questions while bringing up new ones. Mondo has to figure out how to beat the threats, and what the moon has to do with all of it. All with the odd stuff you would expect. There are also a few genuinely funny moments that do show up from time to time. 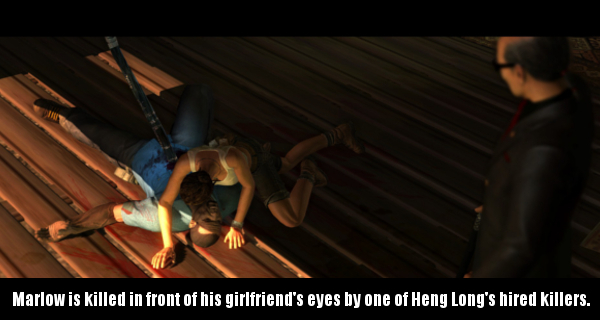 They don’t happen as often as they did in Lollipop Chainsaw or No More Heroes. But when they do happen they tend to hit their target. I did find myself chuckling at a few of these gags. I only wish there could have been a few more effective ones. Missions are set up in an almost Mega Man fashion. Sometimes the game will let you pick the order of stages as you progress. 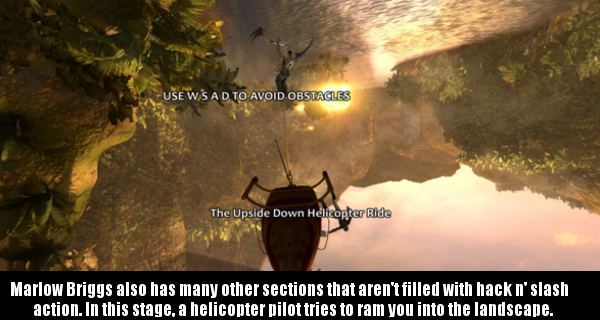 It also gives you the opportunity to do the aforementioned gigolo missions, training missions, or other bonus sections. You can also exit out of the mission map screen to buy gifts for the gigolo missions (should you decide to play them), put unlockable skins on NPC’s, and upgrade your arsenal. Completing the game also gives you the option to replay missions, and getting whatever you weren’t able to buy or unlock before. 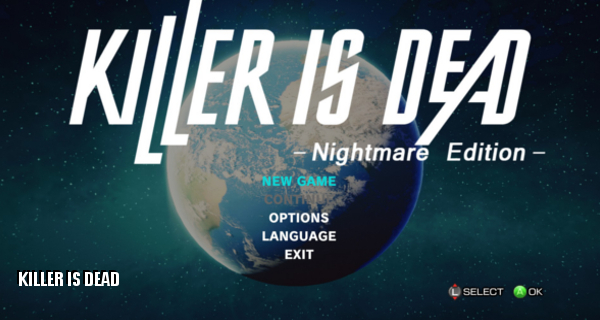 The PC version of Killer Is Dead is branded as a director’s cut called Nightmare Edition. It’s essentially the exact same game that appeared on the PlayStation 3, and Xbox 360. The difference is that PC gamers get an extra difficulty mode that allows for only a miniscule number of attacks to take down enemies. 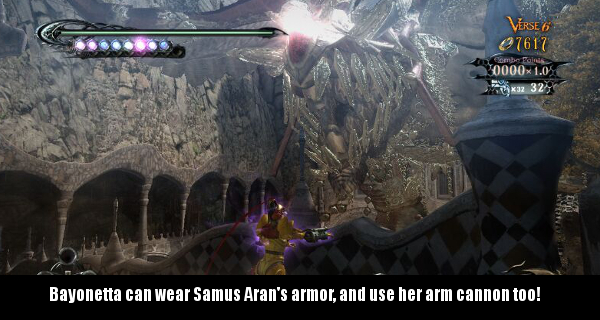 It also makes boss fights harder. 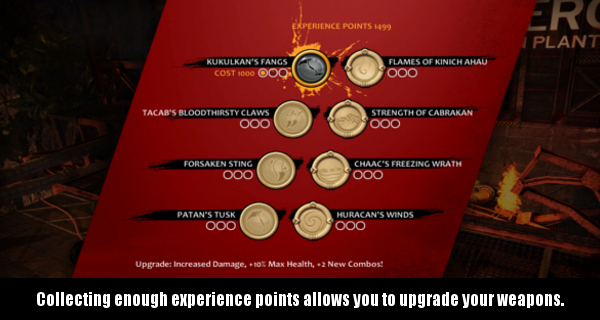 On top of the extra difficulty level, The Windows release has a couple of PC features included. Do note that they are pretty bare bone though. You can change the resolution of the graphics. You can change your key binds. There is a very limited quality selector for graphics too. But it won’t go into many deep options. Those are about the only additions. 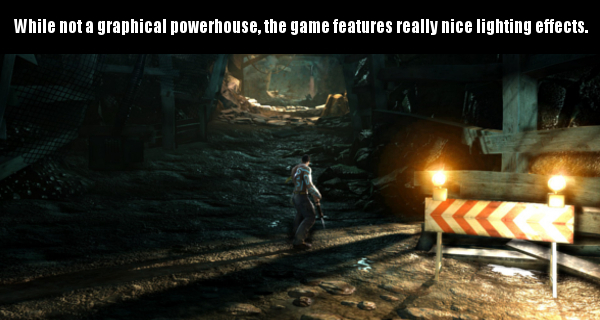 It runs on Epic Games’ Unreal Engine. But unfortunately blocks access to the console. So you really can’t do much else to the game for performance. That said, if you meet the requirements for the game it will run fairly brisk, and smooth. It isn’t a very demanding title for most machines built over the last 5 years. Overall, I would say that Killer Is Dead is certainly worth looking into if you enjoyed previous Suda51 games. 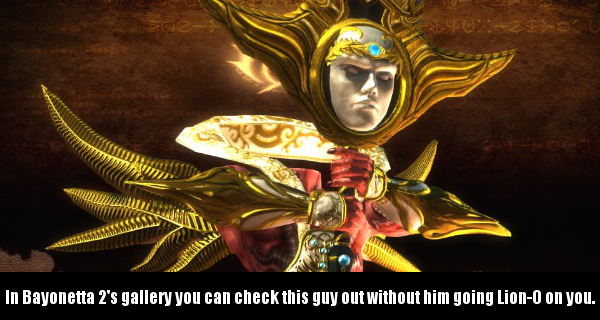 It has all of the same hallmarks, and tropes his games generally have. It’s a well made game, and has some of the coolest art direction yet. It’s unfortunate then, that a bad, and out of place dating sim has to bring the package down. It is also fairly shorter than previous games made by his studio. Hopefully future titles will remedy these issues. The director’s cut of Ninja Gaiden 3 attempts to rectify some of the criticism levied at the original release. Does it succeed? In some ways yes, in others not so much. PROS: Fluid animation. Takes strides in connecting the series to the NES Trilogy. CONS: Streamlined gameplay means some will find it repetitive after a while. WHY: Do the villains send out so many German Shepherds to be slain? Ninja Gaiden 3 saw a mixed reception upon its release. The director of the first two games left Tecmo after a heated dispute, and the person with the porting duties was given the reigns for part 3. The resulting game had the flashy, animation, and gory fights of the first 2. But it was more linear, and easier. So what is different about Razor’s Edge? 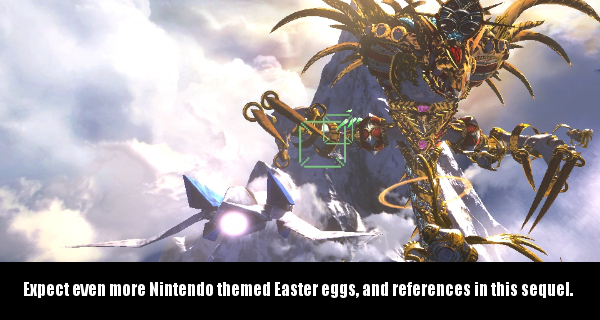 For starters, Razor’s Edge started out as a launch window title for the Wii U. So it features some touch screen functionality like changing weapons on the fly, casting Ninpo arts, or seeing your current unlocked combination attacks. 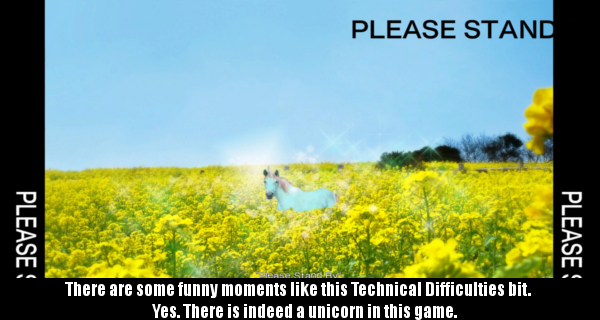 It also tries to rectify the difficulty situation. 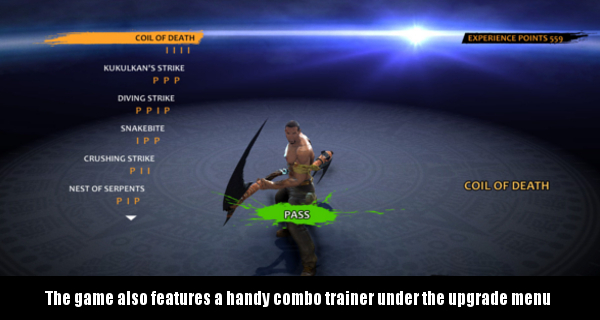 One of the reasons the game is easier than Ninja Gaiden, or Ninja Gaiden 2 is due to its karma system. Ninja Gaiden 3’s karma system grants players points for killing enemies. Long chain combos, or flashy executions grant more of these points than base moves. There are also a fair number of weapons one can use throughout the game, and some of these will display even more gruesome deaths. Limbs are torn off, heads are decapitated. Curse words are shouted as the score rolls up. When one gets to a section that isn’t wrought with enemies they can enter an in menu shop to spend the points on upgrades. Some of these extend the life bar, while others give you advanced moves, weapons, or arts (some of which are only in Razor’s Edge) to use in battle. The problem is that the game doles out points like water, so hoarding points early on makes getting the more powerful moves easier than it should be. This in turn makes many of the lower level enemies a breeze to blow through. Block, dodge, and button mash them to death. 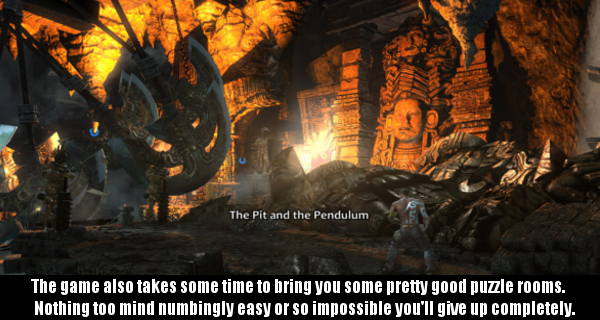 The game attempts to remedy this by adding a higher difficulty level that artificially makes the campaign harder. On its highest difficulty setting enemy health, and attack power is doubled or tripled. 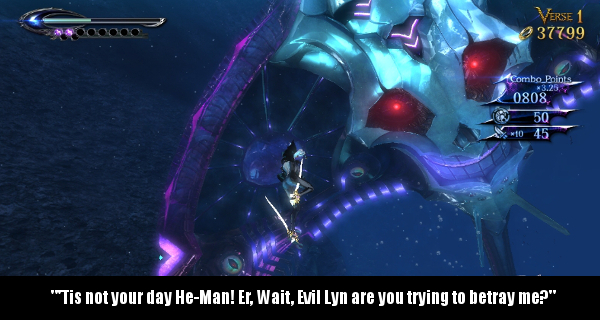 The number of enemies at any given time is also doubled or tripled. Karma points are also reduced. So instead of being more challenging, it’s simply being a lot less fair. Razor’s Edge is essentially NG3 as far as the base game goes. 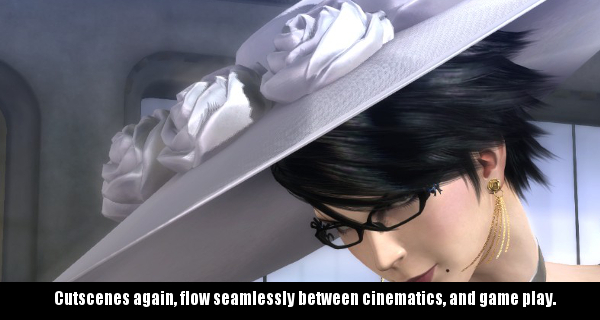 The campaign is an 8 stage run with in engine cinema sections. The main storyline is actually a pretty good one as far as Ninja Gaiden games go, and even makes more attempts to bridge the current series with the original trilogy from the NES. Ryu Hayabusa is contacted by the Japanese government to investigate a terrorist event in London. Led by a mysterious man known as The Regent Of The Mask, the Lords Of Alchemy threaten the end of the world to the world’s leaders if they fail to comply in giving them Ryu. When Ryu meets the Regent, a battle ensues, and at the end he is left cursed with a disease that feeds on blood lust. Ryu must then find a way to stop the terrorists, and find a cure before he is killed by the curse that plagues him. Along the way the plot throws out swerves, double crosses, and surprises in the same vein as the NES games. The reason for this is due to it being written by Masato Kato, the man who wrote the original series’ story. This game also brings along some cameos from Ninja Gaiden II: The Dark Sword Of Chaos, as well as ties to that game’s story. For some players, the story will be the reason to play through the campaign. Because Ninja Gaiden, or Ninja Gaiden 2 on the Xbox, and Playstation consoles over the last two generations were different experiences. The first two games had a little bit more variety in gameplay. There was a little bit more exploration, or sections you could tackle a little bit differently. Ninja Gaiden 3 instead opted to go for a purely linear spectacle brawler. 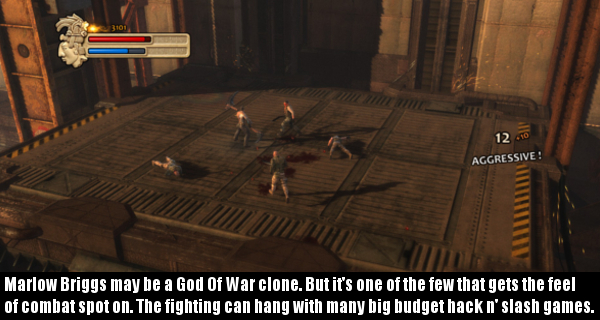 Much like Devil May Cry, or God Of War. Ryu will enter a section, kill everything the game throws at him, then go into an area with no enemies or pitfalls. Sometimes the game may throw a platforming area where a wall run or wall jump has to be done. But even those are on a path from A to B. 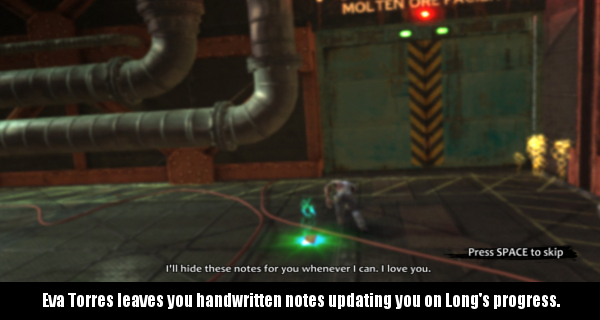 This is indicative of many single player action games in many genres over the past few years. But here it feels like a departure after having played the first two games. For what it is, and on its own merits it isn’t a bad game. Combat is very smooth, and fast. 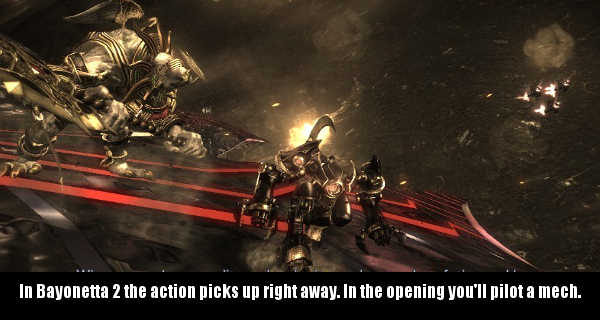 Animations are brisk, and fluid. Some of the carnage is really fun, yet gristly to see, and the length is about right for a game of its type. Enemy variety for the most part is very good, with several kinds of enemy soldiers, monsters, robots, and even terrorist cult members. Character designs are detailed, with a lot of nice touches. Many of them look flat-out cool. One odd decision many will notice however (or at least I did) is the abnormally high number of guard dogs that have to be dispatched. This game throws a ton of them at you. Pretty much every game in this, and the original series has had them. But this one really loves to use them. It is definitely a very small thing to obsess over, and it is in the grand scheme of things a game set in a fictional world. But one example of what I’m talking about happens in a lab themed stage. There is a long hallway filled with glass case displays with dogs in each. (Spoiler Alert: all of the dogs are real dogs, and will try to maul you to death.) The ratio of dogs to other enemies seems a little off. Bosses are most certainly designed with an old school focus, involving patterns that have to be memorized, and then solved like a puzzle. These are also accompanied by Quick Time Events. Again like many, many games over the past seven years, QTEs feel thrown in for the sake of being a modern mechanic. While they do add to some of the visual presentation here, they don’t do much for depth in a game that needs a little more variety. 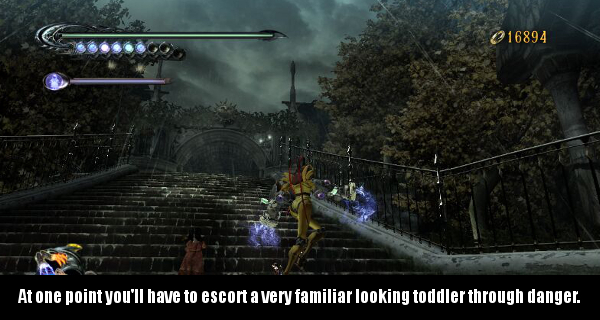 However there are sections where the QTEs are welcome like scaling certain walls, or reversing certain enemy attacks. The game does try to break things up by adding a rail shooter segment, and Razor’s Edge even adds a couple of sections where you get to use Ayane from Dead Or Alive. She controls different enough from Ryu where this does work somewhat, but the gameplay follows the same structure. As far as her involvement in the campaign story it’s hinted that she is working for Irene Lew. Completing the entire campaign unlocks other playable characters, as well as another difficulty setting. This one makes the game down right cruel. 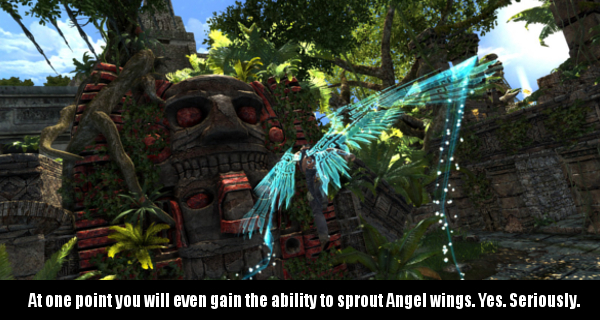 Razor’s Edge also tries to give players an incentive to play on higher difficulty settings through its secret areas. Many stages have small rooms off of the beaten path where one can find skulls that open up battle arenas. Touching one of these on the easiest setting will bring up a message telling players they need to play on a higher difficulty setting to see the arena. Razor’s Edge also adds in online modes. The primary mode allows players to play a co-operative game where two people work together to clear a level of enemies. 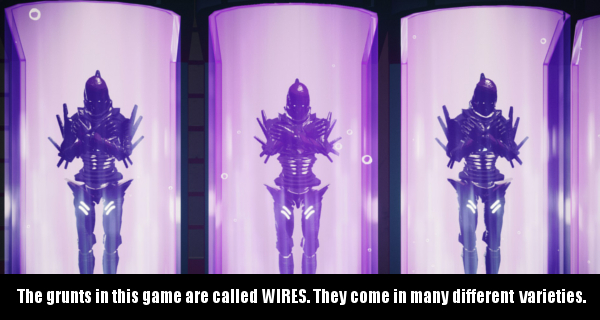 It essentially works like the horde mode of many other games. There is also a clan battle mode for several players to face off against each other. This mode works like a variant of team death match. The other options don’t really do anything other than compare your stats against other players. So it’s only going to appeal to a small number of people hopelessly devoted to it. Team Ninja’s engine for the series also seems to show its age here. While characters look rich, vibrant, with really great assets, backgrounds don’t always hold up. Some of the textures on floors or walls are muddy or grainy. There also doesn’t appear to be much in the way of AA or other filtering as jagged lines can be noticed. Not every stage has this level of contrast between the detailed models, and less detailed environments. But when it happens it can be jarring. Audio is actually one of the high points in this game. Explosions, clashing swords, and other sounds of combat sound really nice. 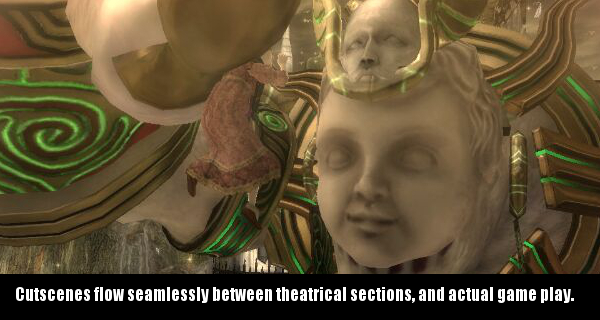 Voice acting is also superb. The cast features many notable voice actors who give some wonderful performances here. The soundtrack compliments the action rather well. 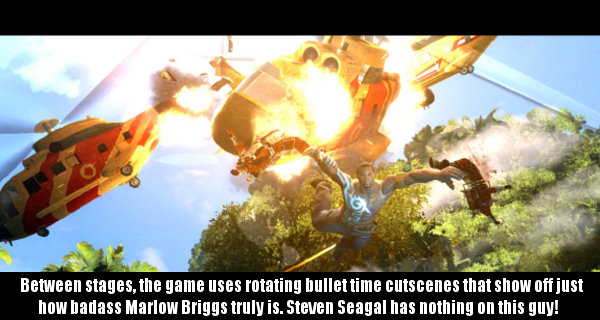 It helps give the game have the interactive action movie feel it shoots for. 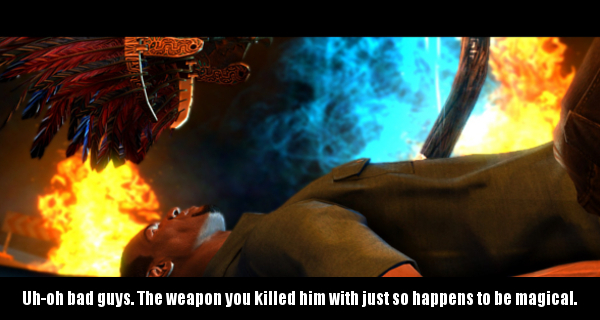 Ninja Gaiden 3: Razor’s Edge is better than the original release of Ninja Gaiden 3. 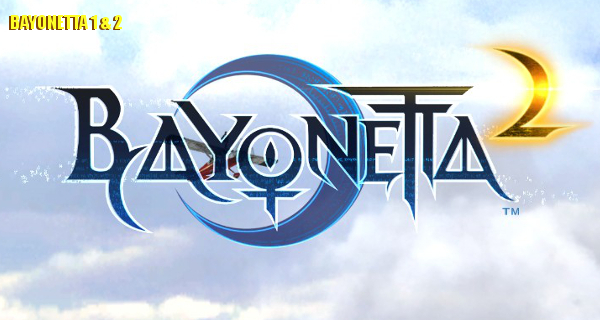 It has since been ported from the Wii U to the PS3, and Xbox 360 extending the number of potential audience members. The added content is welcome, and the co-operative mode does make for a fun time with a second person. On its own though once you finish it there isn’t much to make one want to go back to it. That is unless, you are a die-hard fan of spectacle fighters. 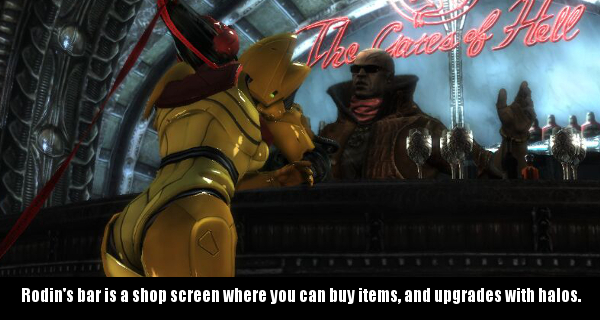 In that case the bonus characters, and unlockable weapons may really cater to you. It also has an enjoyable storyline for long time Ninja Gaiden fans. It’s certainly a fun game, and an improvement over the initial version. But it’s still a little too streamlined for its own good.